The monstrous being known as Rampage has downed a DEO helicopter, which Supergirl just barely saved. 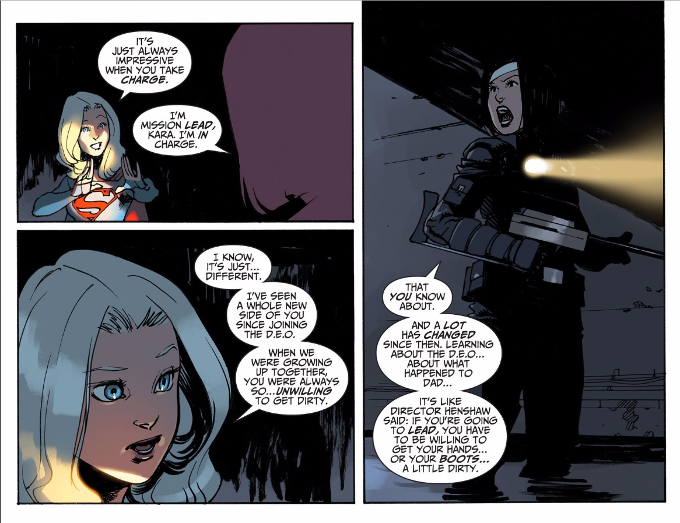 Now Kara and the DEO strike team - led by her adopted sister Agent Alex Danvers - must venture into the sewers of National City to find her. But Rampage knows all about the DEO and has a grudge against Alex for the death of her own sister. The script by Sterling Gates is top-notch. Gates is well-regarded for his previous work on Supergirl and much of his run on the monthly Supergirl comic inspired the new TV series. 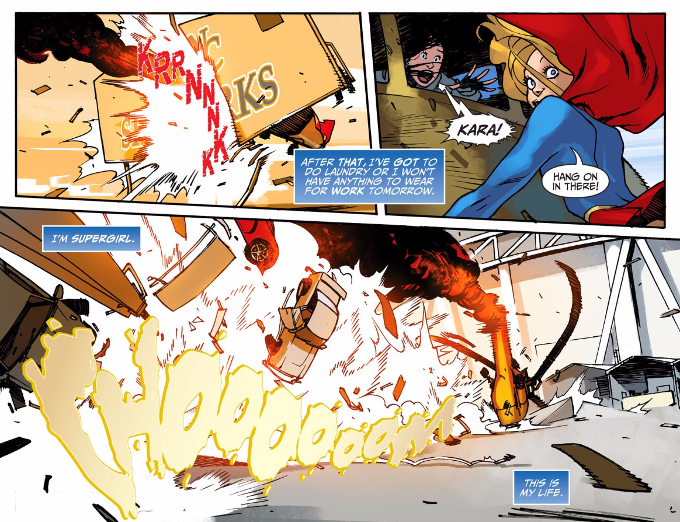 His work here showcases why his run is so beloved, as he has a great handle on Kara Zor-El as a character. And Gates does more to try and expand upon the character of Alex Danvers than the show has so far. The artwork by Bengal is problematic. I think Bengal is a talented artist but this is not her best work, despite a brilliant visual homage to John Byrne's X-Men on the final page. 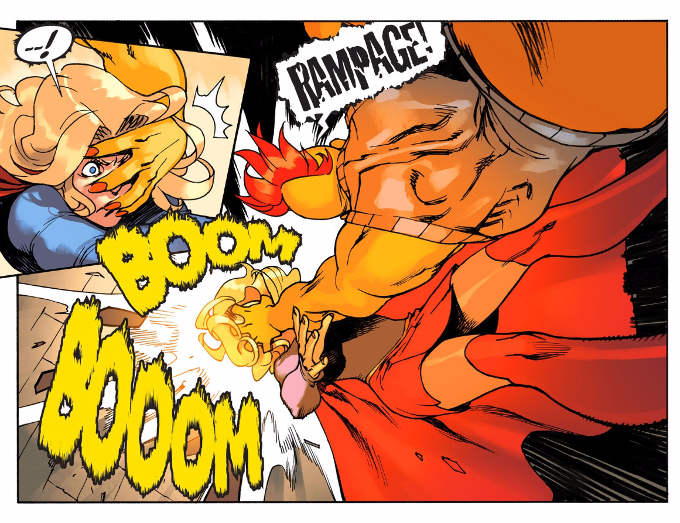 Bengal's work on individual panels of this comic look good but the action sequences are uncharacteristically sloppy. Her take on Kara looks more like a little girl than a twenty-something woman and some of the coloring effects - such as an orange tint used during Rampage's attack on Supergirl - leave the final art looking washed out. Despite this, I can't help but recommend this series. Yes, the artwork is uneven but every artist has their bad issues. And the story more than makes up for any shortcomings in the artwork.